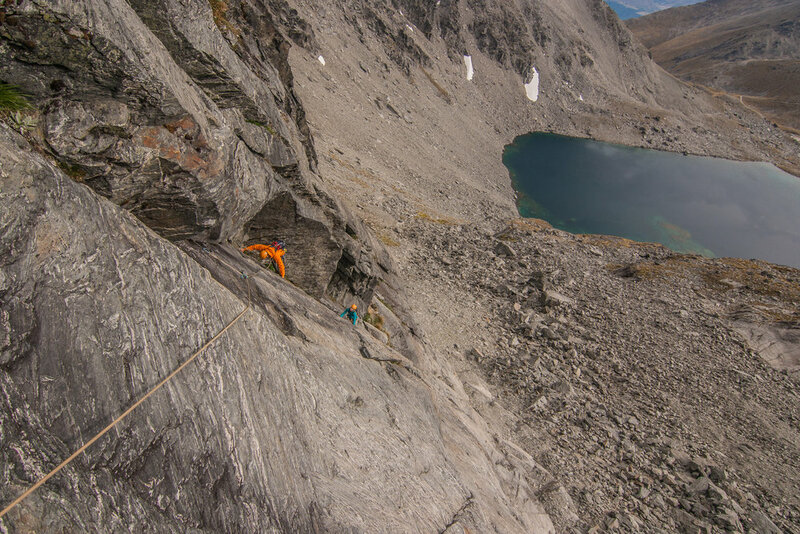 The climbing starts off with a series of intricate crack and slab pitches, as you climb the buttress the pitches move up and right towards the crux overlap. Once you pull the overlap some nice corner systems take you to the top of the route. This alpine day is suitable for climbers with an advanced understanding of rope and equipment skills and a high level of fitness. For climbers looking for the ultimate Remarkables experience 'DB EH?' 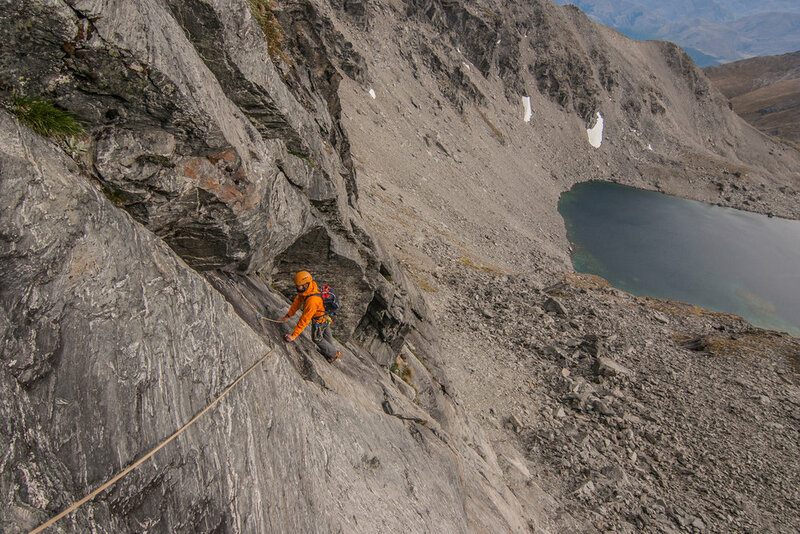 can be linked into the Double Cone-Single Cone traverse to make an extra long day of alpine climbing! From the top of 'DB EH?' 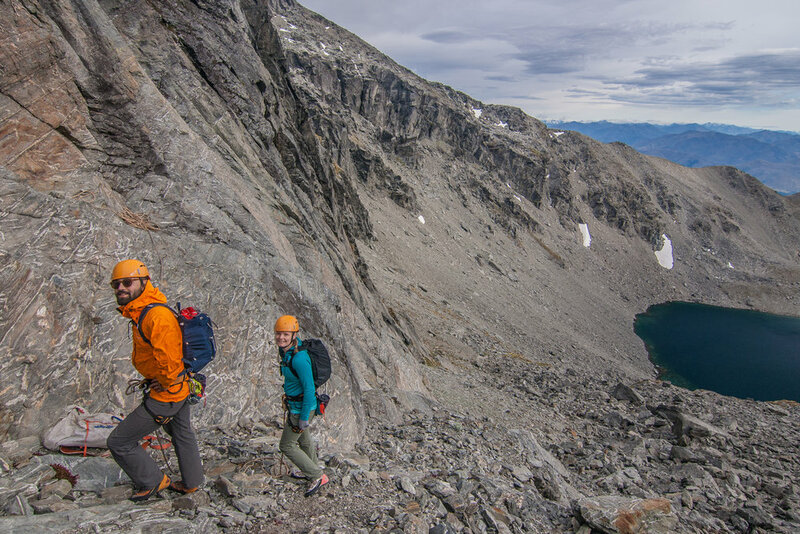 the route traverses all the way over both summits of double cone and to the top of single cone before descending the southern gullies.